The TYPHOON is a small cruising trimaran that is designed to use a TORNADO catamaran rig and hulls for the 'floats'. If you happened to already own a TORNADO you only needed to buy the main hull. 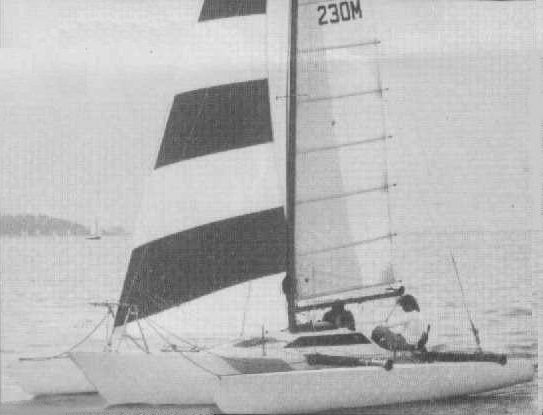 If not, Sailcraft Ltd., also a builder of the TORNADO, would sell you a complete package.